Public nominations for The Bar Awards Singapore 2017 is currently underway, and this year’s edition looks to be more exciting than ever. While award competitions for the food and beverage industry are dime a dozen – the latest would be the entry of the vaunted Michelin Guide last year – the number that specifically recognise the bar and nightlife industry is a lot less. In fact it currently stands at one – The Bar Awards. Not many people realise that the first edition of the homegrown The Bar Awards started in Singapore almost four years ago to recognise and elevate venues and professionals in the bar and nightlife industry. 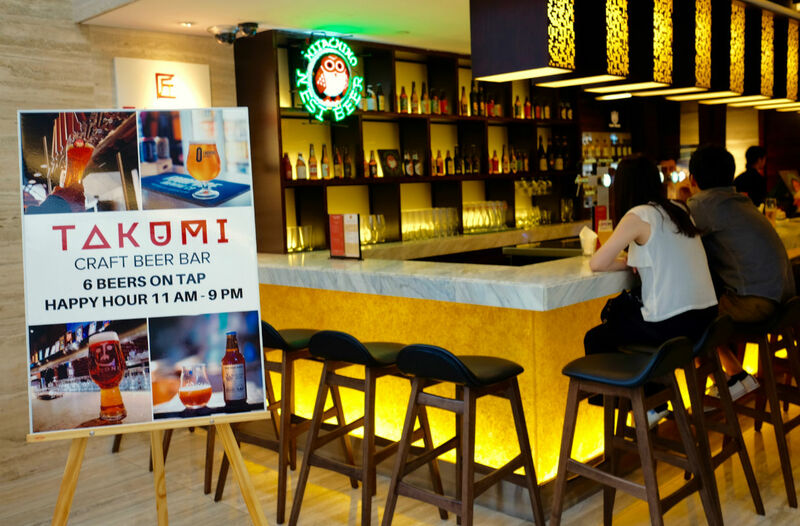 It’s come a long way since – The Bar Awards launched its first-ever regional edition in Hong Kong last year, and continued that expansion with another in Bangkok just last month. There will also be one in Kuala Lumpur later this year as well. Even its flagship Singapore edition this year will see growth and evolution. When it announced its public nominations phase last week, industry observers noted one glaring change made to the award categories. Singapore has always been a big wine market, but in recent years – buoyed by a combination of favourable foreign exchange rates, increased market competition, and the organic and biodynamic wine trends – the space has exploded with a slew of new wine bars across the island. The Rising Star, presented by Perrier. 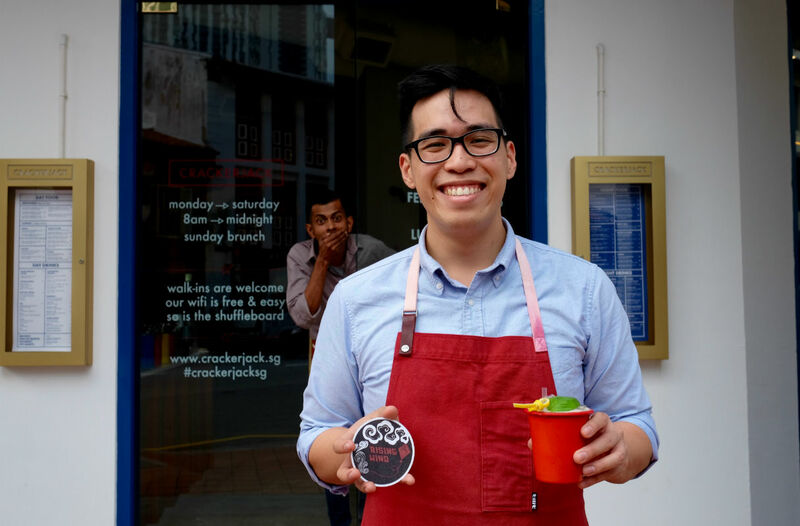 Formerly titled Young Bartender of the Year (won by Brendon Khoo last year – pictured above), this award is part of The Bar Awards’ mission to encourage growth and development within the Singapore bar community by motivating new blood – under 25 years old, to be exact – to join the hospitality industry. While most of them would remain behind the scenes as they’re run through the paces, we reckon the likes of Ronan Keilthy from Crackerjack, Sugarhall’s Jayden Ong, and Jiawei Bai of Employees Only should figure in the running. Always a challenging category, this awards dining venues that also provide diners a great beverage program to accompany their food. Basically this means that the food here must be top-notch, and drinks a close second – you can’t go too wrong with nominating the likes of Tippling Club (especially with its “Once Upon A Time” series of food-and-cocktail themed events), sake bar Boruto, modern European Tess Bar & Kitchen, oyster bar Humpback, or even the new Indian-themed Flying Monkey. Best Beer Experience, presented by Pilsner Urquell. First introduced last year as “Best Beer Bar”, this award recognises an establishment with a well-curated beer range that is also backed by knowledgeable and passionate people. Craft beer culture has seen a tremendous rise in recent years, with a number of new bars tapping on that trend while we’ve also seen a number of venues refresh their offerings to keep up with that trend. Last year’s winner Druggists continues to be a contender, but new entrants Freehouse and Good Luck Beerhouse, and craft beer pioneers Smith Street Taps and JiBiru, should also feature in the race. Teamwork is what sets apart great bars from the merely good ones, and an efficient, likeable team makes the experience all the better. In previous years we’ve seen Manhattan Bar and 28 Hong Kong Street battle for dominance in this category, but we’ve also experienced great efficient service from the teams at Neon Pigeon, Gibson, Nutmeg & Clove, and NATIVE. This category is not the same with Best Restaurant Bar award – it recognises those with fantastic bar food rather than a proper sit-down restaurant that just happens to have a great beverage programme. 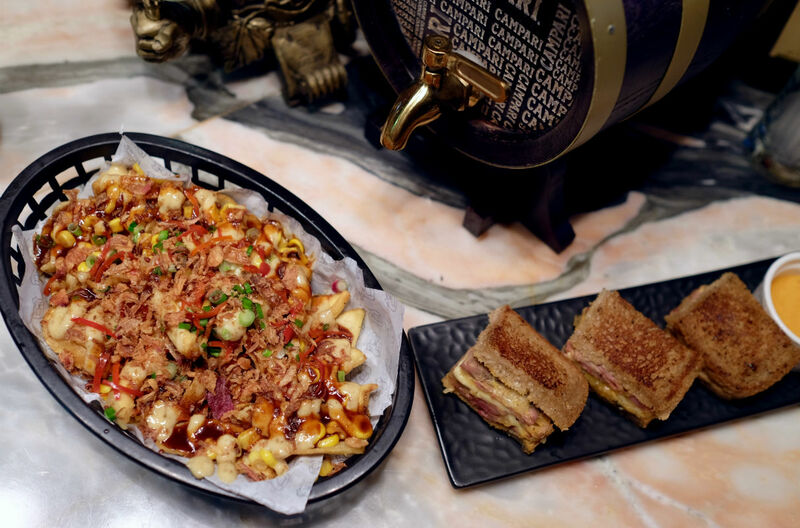 The best thing about this space is that there are plenty of venues that are elevating bar eats to a standard far higher than the ubiquitous truffle fries or boring sliders. Here we’d love to see the likes of Flagship (yummy Pok Pok wings), Freehouse (bacon tempura, because everything is better with bacon), Tiger’s Milk (tacos!) Vasco (for tasty, fluffy empanadas), or Manhattan Bar (where those cheesecake bites are must-try). The organisers aren’t exactly looking for the largest collection or oldest vintages here; instead of stuffy wine cellars, “Best Wine Experience” looks to award venues with well-curated, thematic wine lists that excite and educate drinkers rather than intimidate them. So whether it’s Wine RVLT with its organic wine selection, the bubbly enthusiasm and experience over at Praelum Wine Bistro, or even humble but cosy Wine On Tap, this new category shines the spotlight on them. Most Creative Cocktail Bar, presented by Cointreau. One of the most coveted awards is the “Most Creative Cocktail Bar”, an accolade which recognises innovation in cocktail making, whether it’s the incorporation of unusual ingredients or the use of culinary techniques, for an entire cocktail menu. 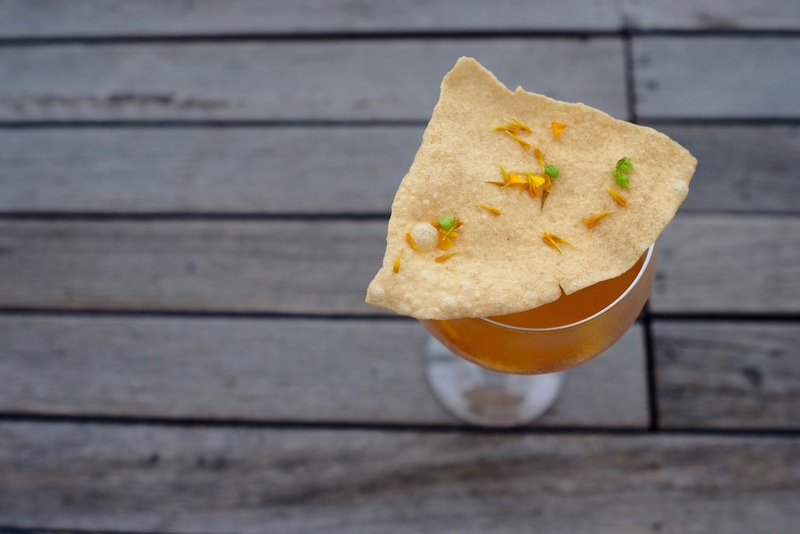 We’d place our bets on Gibson where Aki Eguchi weaves his cocktail magic, Tippling Club with its Sensorium menu, Yugnes Susela’s inventive Smoke & Mirrors, Operation Dagger with its sustainable bar practices, or NATIVE, where Vijay Mudaliar uses ingredients he forages. Best New Cocktail Bar, presented by Campari. Ask anyone who has opened a new bar and they’ll usually tell you it’s a harrowing experience. This category looks for the latest venues that not only have achieved operational excellence, but also help set higher standards for the rest of the industry. We’ve seen a slew of new openings that fit the standard, however; the insane gin collection over at Atlas puts Singapore on the cocktail map for the right reasons, Crackerjack combines a hybrid concept of restaurant, bar, and cafe that somehow works, The Other Room has an interesting barrel-aging spirits program, while NATIVE’s focus on regional spirits and use of foraged herbs sets it apart from the rest. Bartender of the Year, presented by Bacardi. This award recognises a bartender whose skills, knowledge, and the ability to connect with people are extraordinary beyond measure, the level of hospitality extended by this individual is an experience in itself. This award was won by Tom Hogan in the past two years, so potential contenders are probably relieved he no longer qualifies now that Tom’s moved away from the front lines to a more consultancy role. Another highly competitive category, we suspect the likes of Davide Boncimino of The Other Room (who just won the Singapore leg of the Bacardi Legacy Cocktail Competition) will enter the running, competing with previous challengers such as Yugnes Susela of Smoke & Mirrors, Shin Gi Tai’s Anthony Zhong, and Gibson’s Aki Eguchi. Best Cocktail Bar, presented by Stolichnaya Vodka. This is the award that recognise the one bar in Singapore’s cocktail scene that has it all, providing the level of experience that even cocktail bars from other parts of the world aspire to – impeccable service, warm hospitality, superbly-crafted cocktails, a well-curated beverage program, delectable food offerings, and a mesmerising ambience. We won’t be predicting nominations for this last category, because we’d really rather you nominate your favourite. The public nominations phase for The Bar Awards Singapore 2017 runs from 1 May to 14 May 2017, so do submit your nominations to help recognise the most deserving in Singapore’s bar and nightlife industry. Your next drink depends on it. All images courtesy of The Bar Awards Singapore 2016.